Duplex Steel 2507 Bar, Duplex Steel 2507 Bar Fittings Suppliers, ASME SA479 S31803 Alloy Steel Bars, Duplex Steel 2507 ASTM A276 Round Bars, Duplex Steel UNS S32507 Round Bars, ASTM A276/ A479 UNS UNS S32507 Duplex Stainless Steel Round Bar Manufacturer, Suppliers, Exporters, Mumbai, India. The steel has excellent resistance to chloride stress corrosion cracking, high thermal conductivity, and a low coefficient of thermal expansion. Duplex 2507 is a super duplex stainless steel designed for applications which demand exceptional strength and corrosion resistance. Alloy 2507 has 25% chromium, 4% molybdenum, and 7% nickel. This high molybdenum, chromium and nitrogen content results in excellent resistance to chloride pitting and crevice corrosion attack and the duplex structure provides 2507 with exceptional resistance to chloride stress corrosion cracking. Usage of Duplex 2507 should be limited to applications below 600° F (316° C). Extended elevated temperature exposure can reduce both the toughness and corrosion resistance of alloy 2507. Duplex 2507 possesses excellent mechanical properties. Often a light gauge of 2507 material can be used to achieve the same design strength of a thicker nickel alloy. The resulting savings in weight can dramatically reduce the overall cost of fabrication. 2507 Duplex is highly resistant to uniform corrosion by organic acSuper Duplex 2507 Plateids such as formic and acetic acid. It is alsohighly resistant to inorganic acids, especially if they contain chlorides. Alloy 2507 is highly resistant to carbide-related intergranular corrosion. 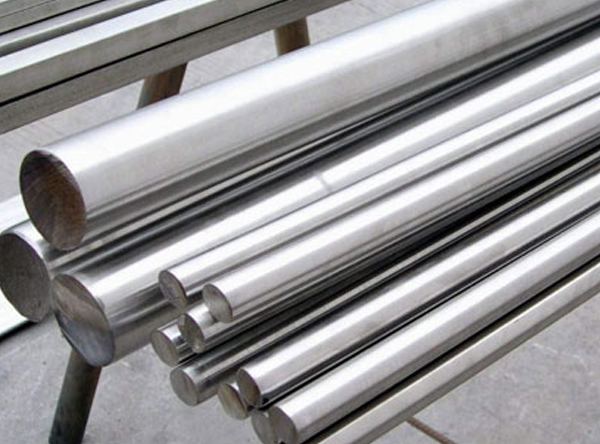 Due to the ferritic portion of the duplex structure of the alloy it is very resistant to stress corrosion cracking in warm chloride containing environments. Through additions of chromium, molybdenum and nitrogen localized corrosion such as pitting and crevice attack are improved. Alloy 2507 has excellent localized pitting resistance.